At Local Biz Network Groups (LBNG), our network is about connecting, gaining knowledge, building relationships, and sharing both business ideas and challenges (Network). Our Network provides these advantages whilst also offering support from other Members. We believe that through sharing, trust building, and collaboration, our Members can grow and develop their business by generating ongoing relationships and referrals. Provide the highest level of service to all other Members and referrals. Adhere to the relevant Code of Ethics and operating standards for your respective industry to the highest standard. Be unbiased, supportive, open, honest, respectful and courteous to all referrals, Members and Directors of LBNG. Be an active, enthusiastic and motivated Member of LBNG. Treat all guests, venue owners and their customers with respect and fairness. Respect the property of other Members, guests and venues used for LBNG events. Act in good faith in all dealings with Members, Directors, referrals, visitors, venue owners and any other individuals within LBNG. Where any referral is received, the receiving Member must take responsibility and use your best endeavours to contact the referee within 24 hours of receipt of their contact details. Membership Fees may be paid by Visa or MasterCard, Internet Transfer, BPAY via the LNBG Website, or as agreed with the LBNG Directors. In addition, an initial registration fee (Registration Fee) is payable for all New Members and a venue fee for each meeting (Venue Fee). Payment of the Membership Fee, Registration Fee and Venue Fee are compulsory for all Members. The Venue Fee will be as advised by the LBNG Directors from time to time and will be commensurate with the reasonable costs charged by the Venue Owner. Members must pay any and all invoices within seven (7) days of the date of the invoice. At or before the end of the first 12 month term (Membership Renewal Date), the LNBG Directors or their representative will advise the Member of the impending expiration of the term and invite the Member to renew their Membership on the terms and conditions application at the time of renewal. LBNG will use reasonable endeavours to advise Members of any variance in fees at least thirty (30) days prior to a membership renewal date. Membership Fees cannot be assigned to another Member, or to a New Member, unless with the prior approval in writing of the Directors and where the New Member is from the same Company as an exiting Member. All Registration Fees, Membership Fees and Meeting Fees are outlined on the New Member Membership Application. The following terms and conditions govern your membership of LBNG and are binding on you once your application for membership is approved. 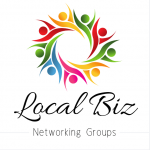 LBNG membership descriptions and pricing is stated on the Membership Form and located on our website, www.localbiznetworkgroups.com.au. Alternatively, please contact our administration team for our current fees. We reserve the right to alter the membership descriptions and pricing from time to time in our absolute discretion. If you wish to become a member of LBNG you will be required to complete an New Member Membership Application Form and submit payment of the Membership Fee. You warrant to LNBG that all information provided in on your New Membership Application and during the application process is accurate and complete. The Directors of LBNG will assess your application and will notify you in writing of the outcome of your LBNG Membership Application within 7 days of the date of receipt of the New Member Membership Application and payment of the Membership Fee. LBNG reserves the right to approve or refuse a New Member Membership Application. Approval or refusal of an LBNG Membership Application is at their full discretion of the LBNG Directors. If your New Member Membership Application is refused, the Membership Fee will be refunded to you in full within 7 days of the decision to refuse the application. (b) You become immediately bound to comply with the LBNG Code of Ethics and these Terms and Conditions. Membership is for a minimum of twelve (12) months commitment from the date of Approval. No refund will be provided should you decide to terminate your Membership prior to the expiration of that 12 month period. Your New Membership Application will be for a specific LBNG Group (Assigned Group), but may be transferred to another LBNG Group at the discretion of the LBNG Directors. A request for a transfer from the Assigned Group to a new Group is submitted by completion of a New Member Application Form and submitting it to the Directors of LBNG. If you are unable to attend any particular meeting of your Assigned Group, you may arrange for a proxy to attend a meeting or event of your Assigned Group. In such case, you must notify the LBNG Directors or their representatives in writing of the name and details of the Proxy prior to the meeting. All Membership Fees and Registration Fees are non-refundable. If a Member cancels their Membership they will not be entitled to any refund of Registration Fees or Membership Fees. A credit may be given in special circumstances and at the sole discretion of the LBNG Directors. The LBNG Directors reserve the right to refuse any credit request. Members who provide a lucky door prize(s) are allocated two (2) minutes to pitch their business, in lieu of the standard thirty (30) seconds. Each Member agrees to actively and openly participate in group discussions, sharing their knowledge and experience with other Members. (b) That Members join LBNG on the understanding that networking is about building relationships and trust and differs from selling. LBNG makes no representations and provides no warranties or guarantees as to the success and growth of each Members’ business resulting from Membership. Members are wholly responsible for actively pursuing referrals and growing their business. LBNG accepts no liability for any advice provided by Members, guest or presenters at LNGP events or via any LBNG social media page. LBNG encourages Members to seek professional advice before relying and acting on any advice received at an LBNG Meeting, from an LBNG Speaker, Director, Member or Visitor. Visitors may attend a maximum of two (2) LBNG’s events, before lodging a New Member Application. The LBNG Directors reserve the right to exclude a visitor after two visits, should they not wish to apply for Membership. LBNG reserves the right to establish additional Networking Groups at their discretion. LBNG reserves the rights to amend any changes to the Terms and Conditions at any time. In the event that the terms and conditions are so amended, all Members will be notified in writing of any changes as soon as reasonably practical. Multilevel Marketing Members must only represent their products and services. Member means a member of LBNG that has satisfied all membership requirements, including completing a membership form and paying all membership fees. Membership refers to a Members contract with LBNG. Fees means the Joining Fees and Membership Fees. If a Member elects to terminate their Membership, written notice must be provided to the LBNG Directors. Any termination notice must be provided at least seven (7) days’ prior to a Membership Renewal Date. If an invoice remains unpaid for fifteen (15) days from the date of the invoice, LBNG reserves the right to terminate the Members’ Membership. LBNG Member’s must not act in an unlawful, abusive, or defamatory manner towards any LBNG Members, Visitors, Presenters, Venue Owners and their customers. (a) Any liability or responsibility arising from a dispute between Members, Visitors and/or Presenters (any dispute is to be resolved directly between Members, Visitors and/or Presenters without recourse to LBNG or its Directors). (b) Any claim, demand or proceeding brought by or against a Member in connection with, or relating to, LBNG, its networking groups and events, or its method of business. LBNG accepts no liability in relation to any advice or conduct which occurs between Members. All Members understand and acknowledge that any Business conducted with other Members is at the Members own discretion and risk and each Member should exercise their own judgment as to whether to conduct business with any other Member or referral. Members will not provide any public statement, press release, or engage in any publicity in connection with LBNG without first obtaining the written consent of LBNG. LBNG reserves the right, in the absolute discretion of the Directors, to terminate a Member’s Membership for any reason, including but not limited to breaching any of the Membership Terms and Conditions. Members of LBNG must not send any unsolicited, direct or spam correspondence, whether by email, post or other means, to other Members or visitors. Members of LBNG must not harass, abuse, or cause any harm whatsoever to other Members whether it be via verbal, physical or other means. Members must protect the privacy of all Members, Visitors and LBNG generally. Members must treat all information discussed at LBNG and all personal information of Members, Visitors and LBNG with strict confidence. Members acknowledge and consent to being photographed or filmed from time to time at LBNG events. LBNG reserves the right to use such photographs and films for promotional purposes and Members consent to such use.